The Facebook news feed is a battleground for your attention. 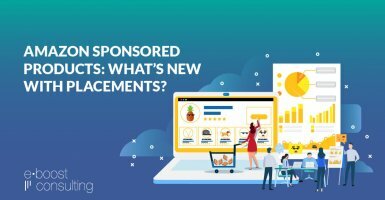 Brands are always looking for ways to stand out among the cat memes, baby pictures and political rants in an effort to capture new customers. Targeting your audience correctly is essential but once you’ve done that, it’s just as important to capture their attention – or they will just keep scrolling on by. One of the most successful ad formats right now is video. 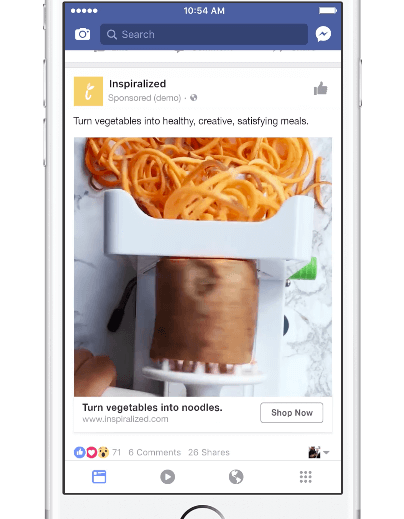 Facebook is giving preference to brands and businesses that are utilizing regular and Live video posts that get strong Click Through Rates (CTR) and user engagement. “So Live video checks a lot of boxes for Facebook: It pulls in users, keeps them coming back, encourages them to post more original content, and gives Facebook a big runway for new advertising dollars,” Jillian D’Onfro of Business Insider said. But that doesn’t mean you can just toss up any old video and suddenly you’re swimming in leads and sales. You need to have an integrated strategy tailored to resonate with your audience and a clear plan geared toward gently nudging them down each stage of the funnel. When you’re building that strategy, the three key stages to consider are: Discovery, Consideration and Conversion. Discovery is the foundation of your buying funnel strategy. 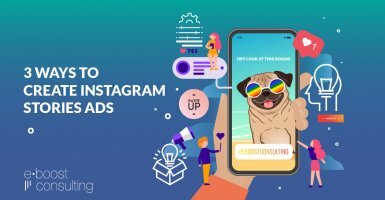 In the social discovery stage you make consumers aware of your brand, make an impression, and collect valuable data to use in your later stage video ads. Initially you want to reach a very broad range of audiences, determine what types of audiences are engaging with your videos and then start narrowing down from there. At this stage our main goal is to put out engaging and eye catching creative and to gather as much data as possible for later use in the next two stages. 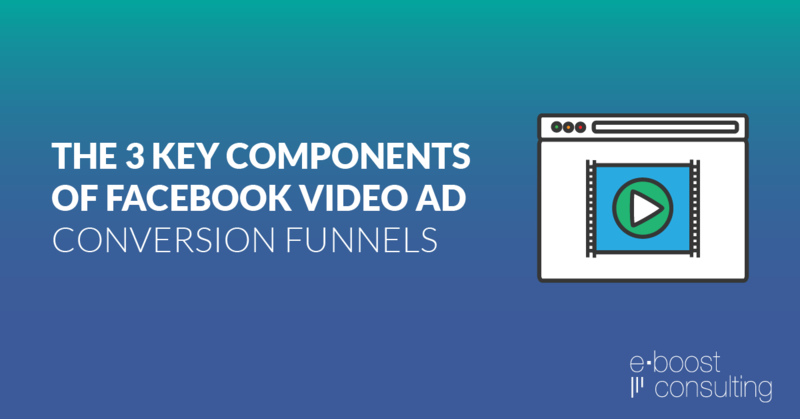 First, get into your Facebook Ads Manager and choose Video views. You will then name your ad campaign. 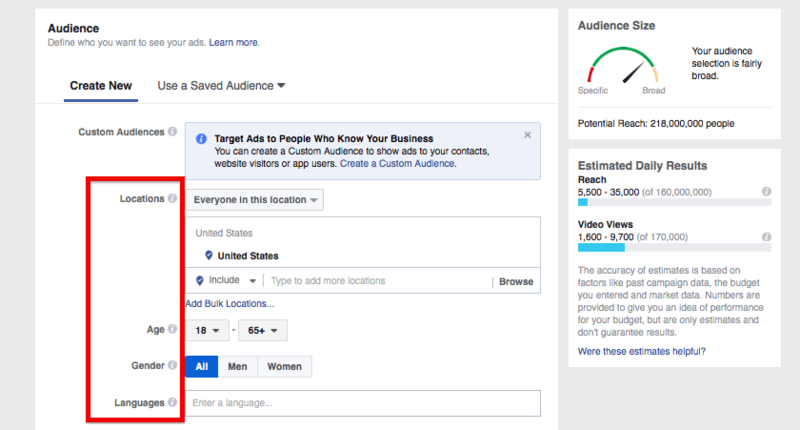 Next you will create your ad’s audience parameters, like location, gender, language, and more. You want to test a variety of audiences that are big enough but not too broad. By choosing your age and gender range as female, 20 to 35 years of age, you get a very wide potential audience of 37 Million people. The key is to narrow in on a moderate audience in the discovery stage. To target a lower reach you will use the Detailed Targeting section to drill down to people that are interested in your brand or products. Let’s say you sell smartwatches that are geared toward promoting women’s health. By entering a few key interests like “tech” and “Women’s health,” you quickly narrow your potential reach into a much more narrow and targeted range of around 1.5 to 2.5 million people that are more likely to engage with your ads and eventually buy your products. You can continue refining or create multiple audiences to segment further for easy data analysis later on. 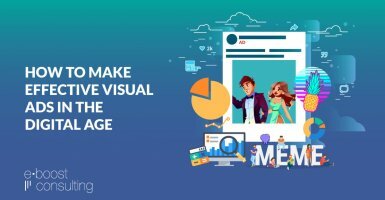 Now that you have a nice broad reach with your initial target audience you need to set your budget and launch your new Facebook ad video. There is no need to break the bank in this stage but you want to set your daily budgets high enough to make sure you’re getting a statistically significant sample. This is the time to gather data and the more budget you put towards your campaign the more data you can gather quickly. 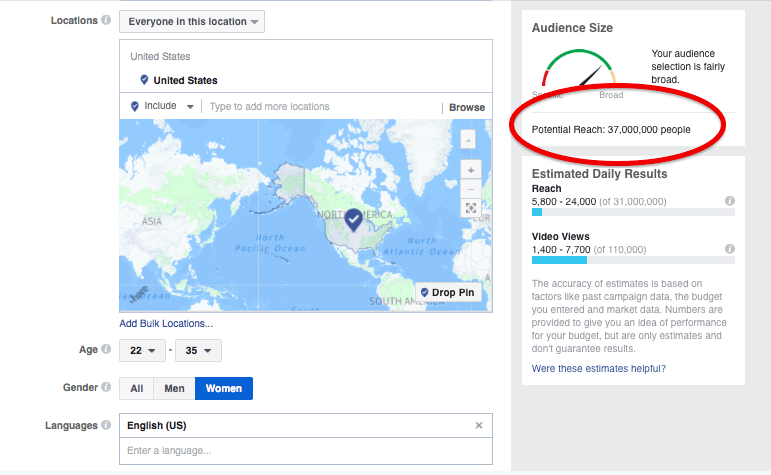 Pay close attention to Facebook’s reporting tools to make sure your videos are getting the engagement levels you’re looking for and if they are, keep this stage running for as long as it takes to get some actionable data you can use to start pushing your new audience further down the buying funnel. 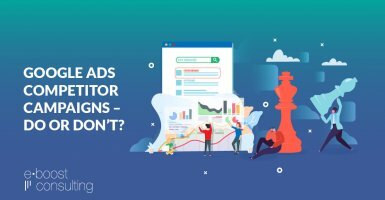 With your discovery stage ads pumping out valuable visitor data it is time to take that information to the consideration stage of your buying funnel. 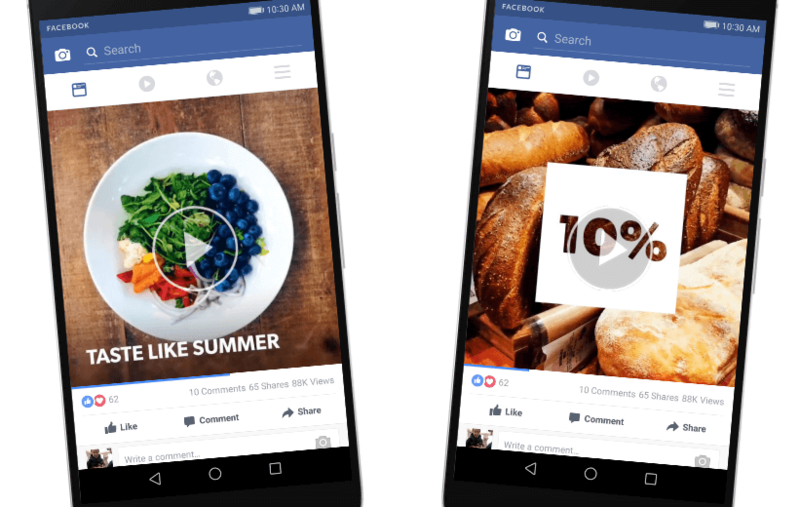 You will now switch from broad reaching video ads to segmented marketing ads. Based on our previous health tech smartwatch example, let’s say you identified several different types of groups and segments that engaged with your video at a high level. You can create custom audiences of those that viewed 75% of the video or 50% of the video and bid differently to these two groups based on their level of engagement. You can segment into smaller and smaller niche audiences and deliver highly customized ads that are tailored to each group. As a basic example, you may notice that women in California were one of your most engaged groups. Another very powerful tool to use in the consideration stage is using an influencer to build that trust and confidence to buy. Collaborate with your influencer on a Facebook Live video highlighting the benefits of your product or service in a natural way to drive your marketing message home. Your visitors have learned about your brand, products, and services. They have seen their favorite online influencer showcase your benefits. Now it is time to convert them. They are on the edge of checkout and a discount ladder in the conversion stage of your buying funnel will give them the extra nudge they need. 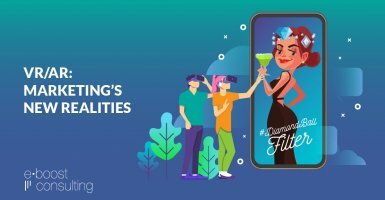 Offering deals and discounts tailored to the specific customer audience and stage of the buying funnel is a social marketing tactic that maximizes conversions. You can offer free shipping on products they have viewed, serve videos showcasing products or services they engaged with, and even offer special discount codes on abandoned cart items. 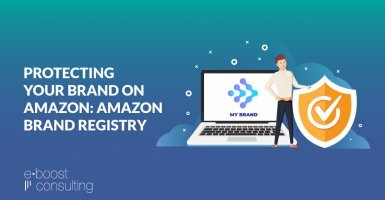 The main aim is to offer an incentive via a discount ladder to turn those “closest to conversion” visitors into long-term brand loyalists. Now it’s time to get started. The best thing you can do is take action, get some campaigns live and start learning and testing. Map out your social marketing strategy with your buying funnel in mind. 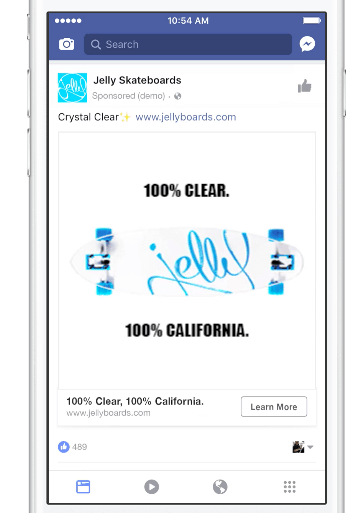 Remember, the age of traditional one-dimensional social ads is far behind us and it’s clear that video is going to be a key component to the future of social advertising. 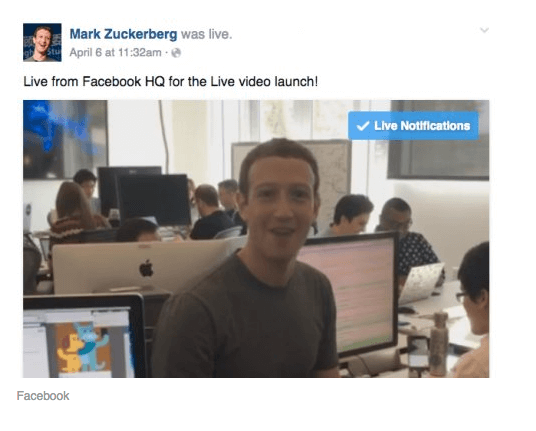 In a moment that was very meta, even Mark Zuckerberg used a Live video to promote Facebook’s emphasis on this engaging format . . . 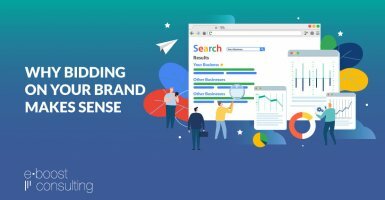 The above step-by-step social ads buying funnel guide can serve as your formula for success in 2018 and beyond. 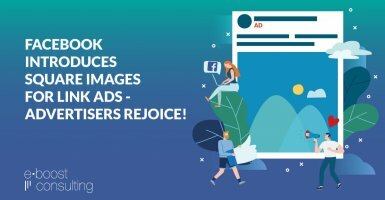 Maximize your marketing budget in new creative ways by maximizing your creative assets on Facebook. Are you ready to increase your conversions using social media? We would love to hear more about your journey in the comments. Evan LaGasse is co-owner and CEO of eBoost Consulting.